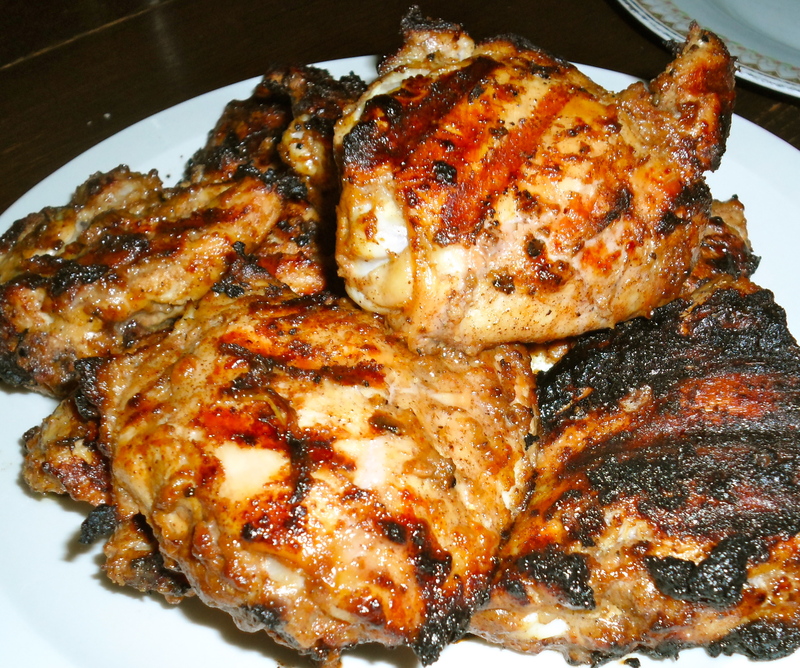 Last night I bbq’d jerk chicken for dinner. 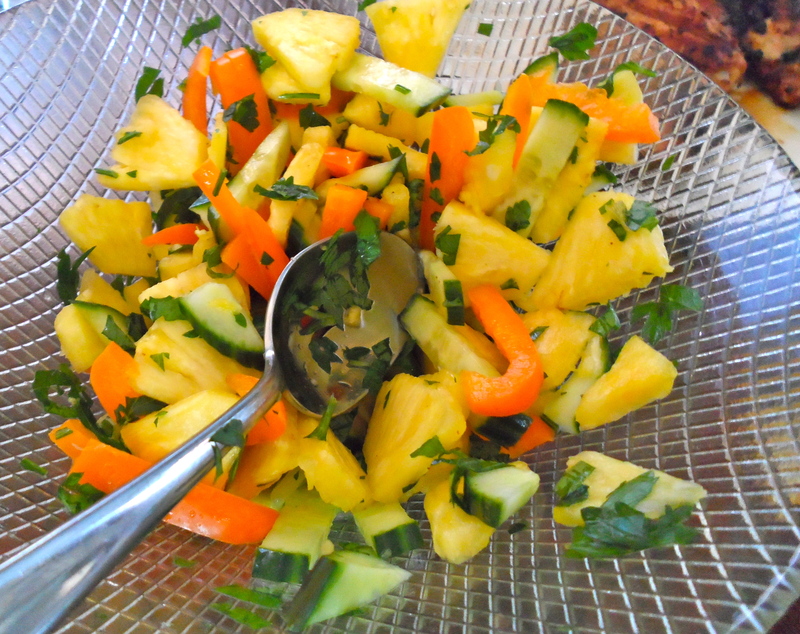 I chopped half of a pineapple into a bowl with some parsley, cucumber, bell pepper, and lime juice. 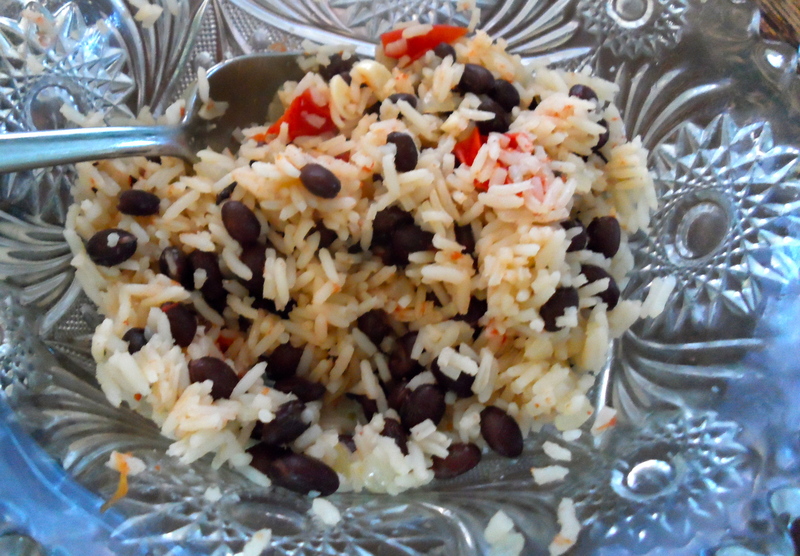 And made some rice and beans with onion, garlic and tomatoes. We drank iced tea… It was an ultimate summer dinner!